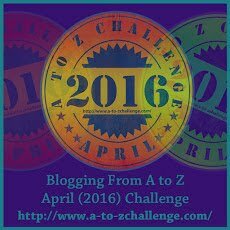 Every year I try and post a few ideas for the upcoming A to Z Challenge which begins in April. 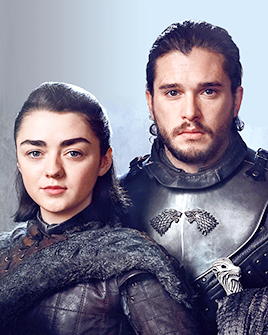 (The sign-up list is not open yet, so follow the link and keep an eye on the page.) With thousands now joining from all over the world, it's become quite an event. Some write each of their posts on a daily basis (I've done that) while others plan and write posts ahead of time (I've done that too). Whichever route you choose, now might be a good time to at least think about it. Not everyone uses a theme, by the way. But it can make things a little easier for some of us. This year I'm planning to write about half of my posts ahead of time. There will probably be a "theme reveal" closer to the contest; but just to get it out there, I've settled on the topic of poison; posts will probably be a combination of flash fiction and informative type articles. I reserve the right to change my mind a hundred times before April, of course. One year I wrote a piece of flash fiction or poetry every single morning. That was rough! Last year I tried to choose a topic no one else had done, and settled on "Psychological Tests and How You Can Use Them To Construct Characters". (Not as boring as it sounds.) Since a lot of research was required, posts had to be either fully written or at least blocked out ahead of time. Anyway, here's a short list of possible topics to get you thinking. I've even supplied one tough letter for each. There are also links to a previous list and posts I've done in the past. 8. Quotes from movies (Z is for Zero Dark Thirty: "Facilitators come and go. One thing you can count on in life is that everyone wants money." 12. Dumbest misjudgements ever made (W is for Western Union memo: This 'telephone' has too many shortcomings to be seriously considered as a means of communication. The device is inherently of no value to us. 13. Dumbest quotes (Q is for Dan Quayle, of course: "What a waste it is to lose one's mind. Or not to have a mind is being very wasteful. How true that is." Actually, you could probably do a full A to Z just on him. Have you done the challenge in the past? Chosen a topic for this year? Waiting till the last minute? Did you spot the vulgarities? Are you offended? Have I asked too many questions? That's a great list, Lisa! I'll make a link to it in my next post. I have my theme and most of the research done for it. Now to grab images and organize them. It never hurts to get a jump on things! Thanks for stopping by, see you at the challenge. Even if someone does, there's usually enough info to go around. Plus you bring YOUR unique style and vision to your posts. Thanks for dropping in, see you at the challenge! I remember doing the Challenge the first year (and only one month in) of my blog! I loved it and would come home from work and write a post about anything that popped into my mind. I don't work anymore and between pain and doctor appointments I don't blog nearly as much. I may be in this year. I will probably wait until it gets a little closer to April. I am already in one Challenge in April. As for your ideas, they are all great. Of course I love your writing and you could probably write about milking a cow and make it a riveting story! Anything you write is awesome. If I am not in the Challenge, which is where we originally met, I will be checking in throughout April to see what theme you went with or not! Bug hugs! Hi Rasz! ((Hugs)) I've missed you. I'm sorry to hear that you're still struggling with health issues. Thanks for the vote of confidence...and your unflagging support of my writing. I really hope you decide to do the challenge. You can always just post a thought or personal reflection for the day. I wish you peace and love for the new year! Wedge sneakers were awesome until you tripped up and twisted your ankle! I'd love to take part in a challenge like this but for now studies get in the way. Perhaps I could do an A to Z of Financial Management? I shall do dumbest quotes from architects about superfoods eaten by mythological creatures. It'll be a disaster! Okay, I'll actually be skipping the festivities again this year. I know how much time I put in the two years I did participate, and I just don't have that kind of dedication anymore. But of course I'll be sure to stop by and check out your poisonous flash fiction. What??? It's only January. Augh! I need to make a list. I can only hope it's half as great as yours. I know, it's early! Usually I wait until the very last minute. Glad you liked the list, thank you! Hi Li, I would love to see Mythological creatures and beings and would stop by every day for that. Good luck with the theme. Hi Stephen! Hopefully someone will take that topic, as I've already started on another. If not, I promise I will do it in 2016! That's a great list! I'm tempted by mythological creatures and weapons. Hmm. Is it okay if I take one of those and run with it? Absolutely, Tyrean! That's what the list is for! :) Have fun. I could definitely do with a few blogs on Theme 11! And with so many aspiring writers in the blog hop, it seems like a natural fit. I agree John. A few of these themes are selfish - they are ideas that I'd like to see someone run with! Wow! What a great list! You have enough to choose from for several years. 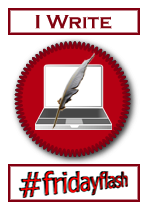 I have always been impressed with your flash fiction and how you could come up with pretty convincing fiction in so few words. I used to read a lot of yours when I was regularly helping out my poet friend, Andy. I'm actually taking part in this year's Challenge for the second time. Last year was CRAZY and I still haven't visited all the blogs on the original signup list. I'm still working on my theme, but hope to be ready to go by April 1st. Just stopped by to thank you for visiting my blog. I'm changing lanes on the Road Trip (lol). Hope to see you again in April! #AtoZChallenge Sign-Up Opens. Choose Your Poison.